From competitive cooking reality television to the proliferation of recipe blogs—not to mention the good, the bad and the ugly food photography being shared—getting busy in the kitchen is hotter than ever. If you’ve started cooking up a storm, you might want to up your game with some high-quality kitchen tools. Or maybe you have a few home cooks on your holiday shopping list who’d love some of the latest and greatest kitchen gadgets. 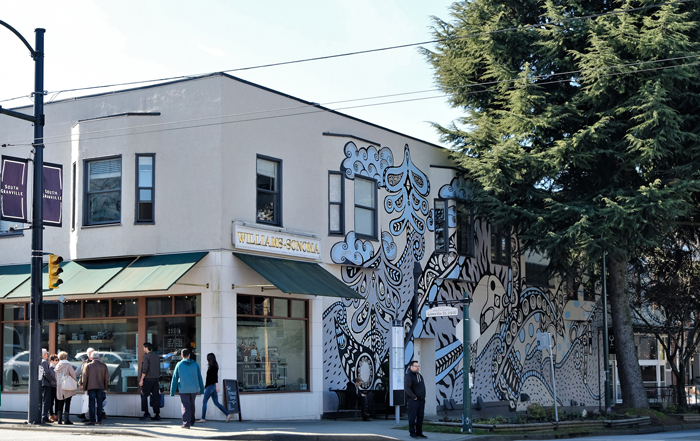 Either way, you’ll find everything you need in one of the best neighbourhoods in Vancouver, South Granville, which boasts a large concentration of home lifestyle shops. We’ve rounded up a few of the must-have (and the super cool) kitchen tools from some of the amazing chef-friendly retailers with a boutique located uptown, just south of the Granville Street bridge. 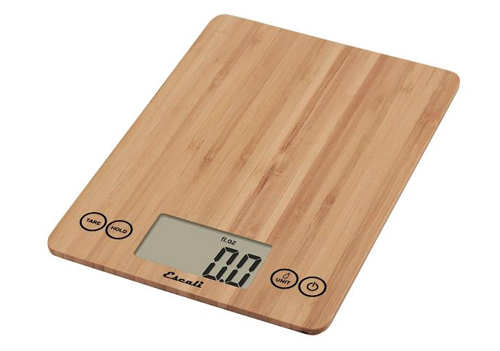 At first glance, a kitchen scale might seem like an extravagant kitchen accessory, but it will make following recipes—especially those in imperial measurements—a breeze. The Escali Arti Scale from Ming Wo ($49.98) comes in this beautiful bamboo finish, as well as a slew of other colours, and can weigh up to 15 lbs (7 kg) in 0.1 oz (1 g) increments. Use any container to weigh liquid or dry ingredients by simply subtracting its weight beforehand. Ming Wo has a seemingly endless amount of cool home accessories, but one kitchen gadget we’re lusting after is the Bariner Mandolin Slicer ($40). This Japanese super slicer comes with three surprisingly sharp interchangeable blades for fine, medium, and coarse chopping options. Save time and fingers (use the finger guard, always!) with this home chef’s dream mandolin. If you’re going to make food, you need a good knife, no exceptions, and the House of Knives has got you covered. 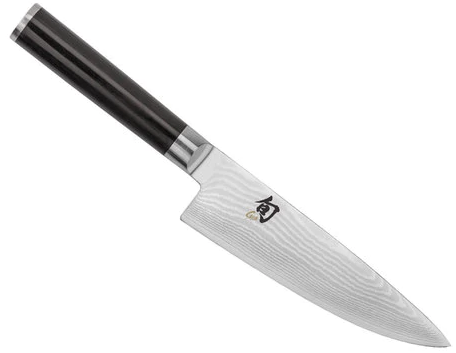 The lightweight, highly maneuverable Shun Classic 6” Chef’s Knife ($221) is a great place to start your collection. Its all-purpose blade makes it ideal for a wide variety of chopping tasks and its high performance VG-MAX steel blade will last a lifetime if its well cared for. A great knife deserves a great cutting board, and naturally, the House of Knives stocks some great choices. Complement your new knife with the Shun Hinoki Cutting Board ($86) made from Japanese cypress. This medium-soft wood helps preserve your knives and wetting it with water before use will help reduce staining. 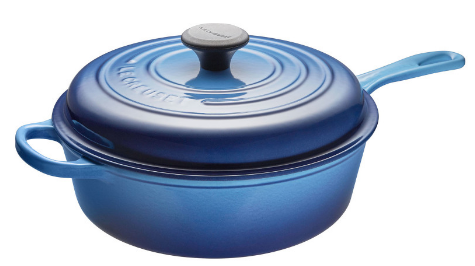 If you’re not already coveting a Le Creuset enameled cast iron cookware collection, you’re behind the times. These timeless quality cookware pieces come in a range of gorgeous colours, shapes and sizes and are even dishwasher safe (we’re as surprised as you are). The covered sauté pan ($350) is a must have for its versatility (sauté on the stove top, simmer covered or uncovered, or finish your dish in the oven), and its 3.5L capacity can handle any dish you’re cooking up. One-pot dishes are a dream on a busy weeknight; delicious and low-maintenance, they allow all the elements of a dish to marry as they cook and they require minimal clean up. Enter the tagine: both a traditional Moroccan dish and the name of the earthenware pot in which it’s cooked and served, and Le Creuset has a gorgeous Moroccan Tagine ($280) to help you perfectly execute this versatile meal. Brown meat and vegetables in the cast-iron base on your stovetop and place the iconic cone-shaped lid on top to perfectly circulate heat and moisture throughout the dish. From smoothies, sauces and soups, to homemade almond milk and more, a Vitamix A2300 ($699) is a top-of-the-line blender that can do just about anything you need. 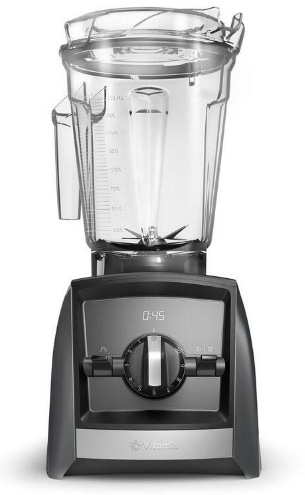 Not only is this high-powered appliance capable of pulverizing whatever you throw in there—no banana is too frozen for this allstar—but it has cool techy features, like a built-in wireless connectivity that allows the motor base to automatically adjust blending time for the container size chosen. Available in black, white, red or slate grey. Cook Culture carries loads of cool cooking tools, like the Programmable Probe Thermometer and Timer ($56), which comes with six pre-programmed temperatures to ensure safe cooking temperatures whether you’re roasting, barbecuing, candy making and deep frying, but they can even teach you how to use all of your new gadgets and gizmos. Fresh lemon juice is an ingredient that works wonders in cooking, baking and cocktailing. 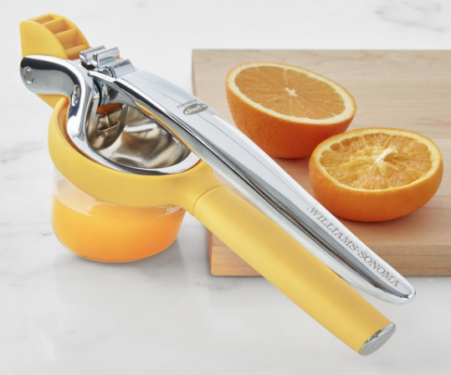 Start juicing like a pro with a Citrus Press ($59.95) from Williams Sonoma. Made of stainless steel and silicone, this utensil has a measuring cup that twists onto the base to catch juice and easily pour it out again. Oranges, lemons and limes have met their match. While this isn’t a must-have per se, the Anova Precision Sous Vide Cooker from Williams Sonoma is the height of cooking coolness. Once a well-kept secret of professional chefs, this method of low-temperature cooking can now be perfectly executed by home cooks easily and effectively. Simply attach the cooker to any pot, fill with water, and drop in your food sealed in plastic or a glass jar. Use the Anova app to find your cook time, as well as over 1,000 recipes, and hit start. You’ll never overcook a meal again. Looking to grab all those tasty recipe ingredients to use with your new kitchen tools? Pop in to Meinhardt Fine Foods (3002 Granville St., 604-732-4405) to find high-quality gourmet items as well as everyday essentials, and lots of unique specialty ingredients for all of you culinary needs. Check out Vancouver Magazine, the lifestyle magazine focused on Vancouver and the Lower Mainland.